Modern logos have a number of characteristics that make them different from other graphic images. First of all, logos – both printed and digital ones – have a wide area of application. 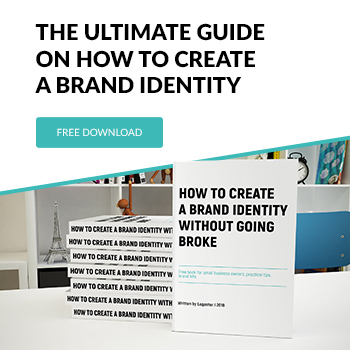 When it comes to creating your brand identity, you must find the best way to fit your logo into different contexts, whether it’s a website or printed items (brochures, booklets, etc.). To achieve that, you need an emblem on a transparent (rather than colored) background. Where do you use a transparent logo? Logos on a transparent background are mostly used on websites and social media pages dedicated to a company, brand, product, etc. What makes transparent logos special? The biggest advantage of transparent emblems is that they go well with any color palette and element arrangement. You can easily upload a transparent image to your corporate website without worrying whether it’ll look good. Furthermore, transparent logos are often used as watermarks on copyright images. This is relevant for brands that have their own photo galleries, e.g. online apparel stores, photography agencies, etc. By using your emblem as a watermark, you can effectively protect your unique graphic content without making it less appealing. This is not all, though. Transparent logos are also a great choice for printed materials. Small print objects (business cards, calendars, souvenirs, etc.) may not have enough space for a logo on a colored background. This is when you need a transparent emblem that can fit anywhere! If you want to create a logo on a transparent background, you must consider a limited number of formats to save your design in. Below we’ve listed the most popular formats you can choose from. PNG tops the list of popular formats for transparent designs. The best thing about this raster format is that it allows to compress the image without loss of quality. Developed in 1996 as a non-commercial alternative to GIF files, the PNG format has grown very popular due to its versatility and wide editing opportunities. PNG supports full-color graphics. Plus, you can open and edit PNG files in all major image editors, e.g. Photoshop. Transparent logos in PNG account for up to 90% of all emblems used on websites, photographs, and merchandise. Created in 1988, GIF was the pioneer among raster formats. It’s another convenient format for transparent designs. To be able to use this format, you must set one of its 256 colors as transparent. The bad news is that you can’t adjust transparency which discourages many users from saving their files in GIF. SVG is a handy vector format that works great for designs with a transparent background. With the fill-opacity feature, you can change the transparency of your image by setting numerical values. SVG has no lack of benefits that make it a reliable, user-friendly option. SVG files are easy to edit (even in text editors) and scale. Based on the XML language, SVG fits a web page layout like a glove. Traditionally, SVG is preferred by professional designers involved with complex projects. Common users steer clear of SVG opting for more accessible formats. How to create a transparent logo? Most designers put a logo on a transparent background by default, unless the client has specifically asked for another version. But what if you’ve got your emblem on a colored background and want to change it to a transparent one? With an image editor like Adobe Photoshop at hand, you can do it in a matter of minutes. Check out the video below on how to remove a colored background in Photoshop. Before moving on, make sure you have your logo saved in PSD. Open your logo file in Photoshop and select all layers, except for the background one. Create a new group (folder) and put all layers into the folder. Later on, you’ll be able to easily adjust the transparency of your design, e.g. make it semi-transparent. Click on the icon in the lower right part of the Layers tab. Go to the Tools bar and find the eye icon on the left. Click on the icon to make your emblem 100% transparent. Luckily, you don’t have to spend your valuable time dealing with complicated image editors stuffed with confusing panels and tools. With Logaster, you only need 5 minutes to design a transparent emblem for your brand, product or service and download it to your computer! See how it’s done! Once you’ve finished designing your logo, click on the “Download Logo” button. From a drop-down menu, select PNG, PDF or SVG. To your hard drive, you’ll receive an archive with different logo variations. Two logos (a colored one and a black-and-white one) will have a transparent background. Look for the word “transparent” in the names of the files. We bet you won’t find a faster way to create a transparent emblem than the Logaster logo maker! Feel free to use your design on websites, promotional merchandise, and corporate gifts without any limitations. If you need further explanation, here’s a more detailed guide on creating a transparent logo with Logaster.